We have launched the beta of the AMLT Network! We have launched the beta of the AMLT Network! This means that as of now anyone can create a profile and submit data into the Network through amlt.coinfirm.io. 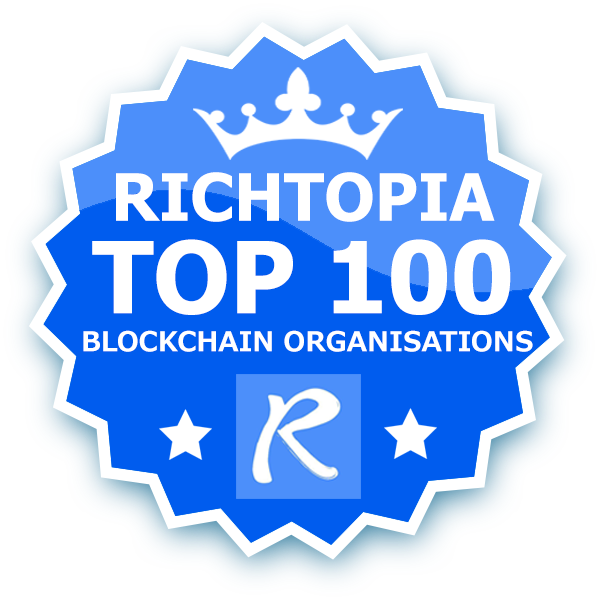 As you contacted us before wishing to become a Network Member and already have your 50k AMLT we wanted you to get the first information about this so you can start the Network Member process and begin submitting data! Below we included the How To’s for you around submitting data, becoming a Network Member and how AMLT tokens are rewarded and distributed. 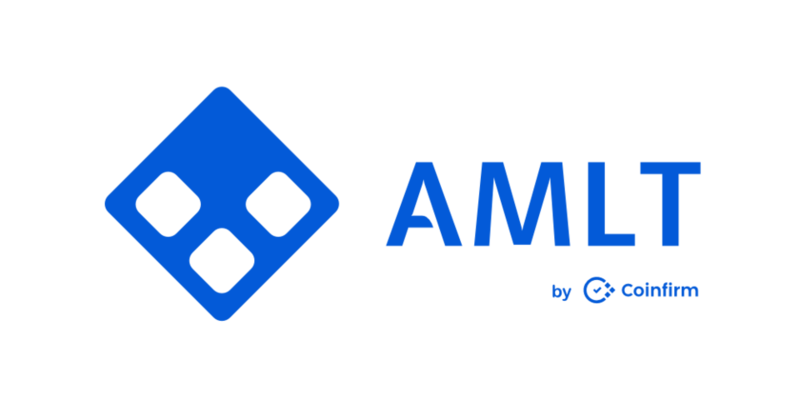 AMLT is the token for the AMLT Network and Coinfirm AML/KYC Platform. The first solution allowing the global economy to provide data to fight ransomware, hacking, malware and other online fraud and scams touching the cryptocurrency economy. In return for valid data provided, AMLT Network Members are rewarded in AMLT that can then be used in various ways. 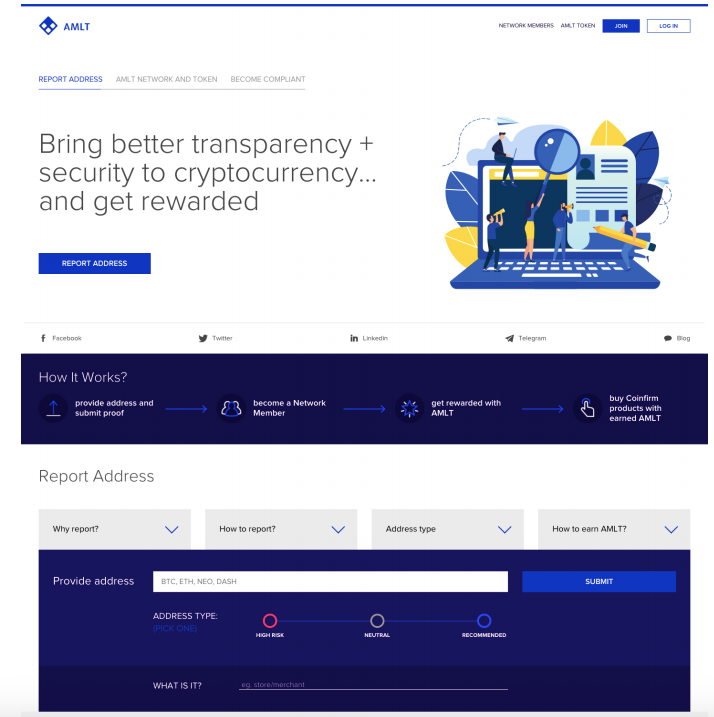 Created by Coinfirm, a global leader in regtech for blockchain and cryptocurrency, AMLT not only creates the first system where entities can report addresses and evidence tied to nefarious actors in the economy, but AMLT token can be used for discounted services on the Coinfirm AML/KYC Platform that is already servicing countless ICOs and over 100 companies in both the cryptocurrency and traditional spaces. Network Members also receive privileged access to Coinfirm products such as our tools and panels, the AMLT knowledge pool with exclusive content and materials as well as additional benefits and features, helping them limit exposure to risk and increase transparency for themselves, their clients and the entire digital economy.